Noreen Humphrey, one of the people involved in the founding of Metro Lutheran, passed away on November 18, 2012, at her home in Hilton Head Island, South Carolina, following a heart attack. Her funeral was held on November 24 at Christ Lutheran Church in Hilton Head, where Noreen and her husband Ed were members. 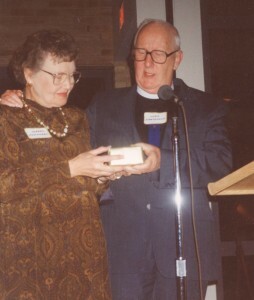 Prior to moving to Hilton Head in October 1994, when Ed Humphrey retired, the Humphreys were members of Woodlake Lutheran Church, Richfield, Minnesota. Humphrey was one of the acting editors for the June 1985 prototype edition of Metro Lutheran, was a member of the first board of directors, and was a Metro Lutheran staff writer until moving to Hilton Head. She was the recipient of the 1994 Metro Lutheran Gold Pen Award. “Noreen was creative, upbeat, and optimistic, and that was very helpful during the early days of the paper,” according to the Rev. Michael L. Edwins. Edwins, like Noreen, was involved with the startup of Metro Lutheran, and has been a member of the Metro Lutheran board of directors ever since the paper’s inception. A memorial service for Noreen Humphrey was held Friday, December 28, at Incarnation Lutheran Church, 4880 Hodgson Road, Shoreview, Minnesota. The family has suggested memorials to Woodlake Lutheran Church or Metro Lutheran newspaper.